Base/top for adjustable Pedestal mounts. Mounting plate 50x50 mm. CC to mounting surface 31 mm. 2xAMPS-holes. Includes 1 screw, 1 nut. Black. Create your own design by screwing together base/top and extension parts. 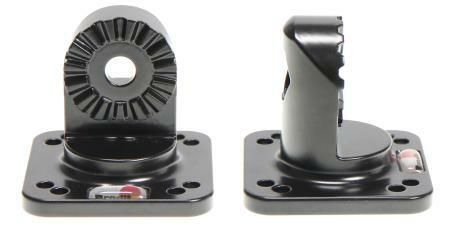 The angle of the Pedestal Mounts can be changed as needed in steps of 24°, up to a maximum of 192° (8 different positions).